It’s Friday – time to celebrate!!!! This has been an awesome week, so here are five great things to share from my week. I’m linking up with Lauren from one of my favorite blogs, From My Grey Desk, for this High Five for Friday post. 1.) The launch of Pursuit of Pink (you probably knew I was gonna say that) - As I said yesterday, this has been a dream of mine for several months and it finally came true! I am quite humbled by the number of pageviews I have already received. Thank you so much for checking me out this week, come back next week for even more posts about things that make me happy. 2.) Tolar and JoJo – These two always make me happy, especially when they play together. 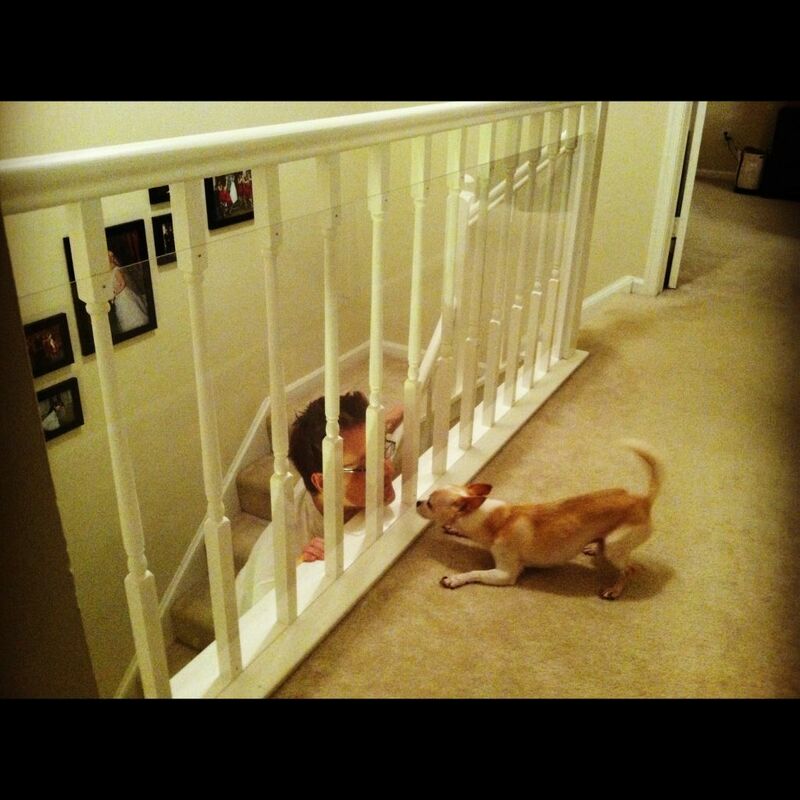 Thank goodness we have a plastic barrier on our banister or else one of them would have gone through the slats. 3.) 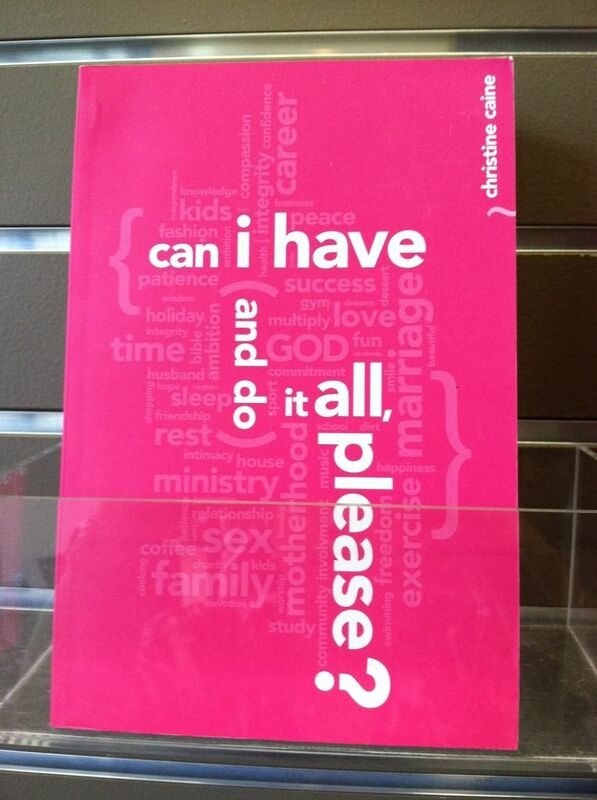 Christine Caine’s book, Can I Have and Do It All, Please? – I was lucky enough to be able to see Christine Caine speak at my church on Sunday (DC Metro Church); she is a woman running hard after God. I bought her book because the title (and the color!) spoke to me. Women are constantly trying to cram too many things into this one life, I can certainly relate. I can’t wait to dive into this book and glean some useful tactics from this amazing woman. 4.) The Free For All – I work for the Shakespeare Theatre Company in Washington, D.C. and every year we offer a free production of Shakespeare for the public to see (hence the name of the event). It is truly one of my favorite times of the year because all sorts of new people check out our theatre and some even encounter Shakespeare or theatre in general for the first time. 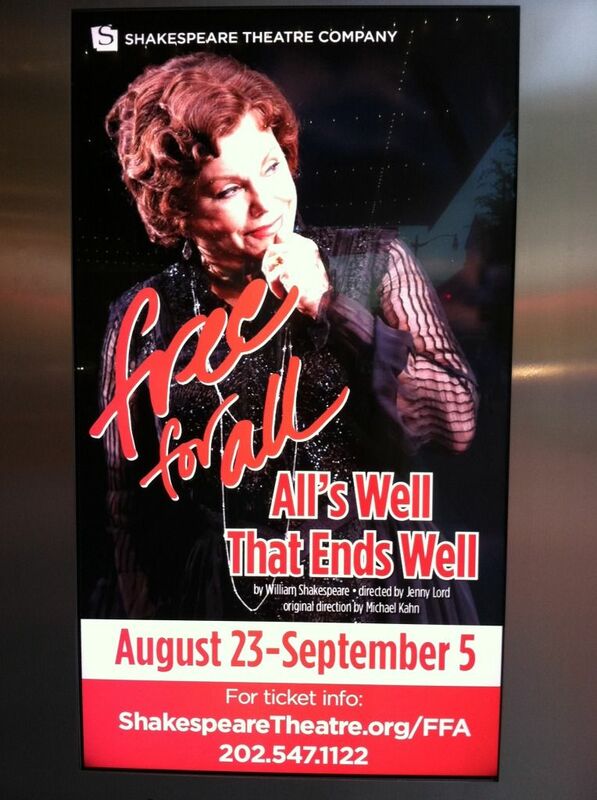 The production started yesterday and runs through September 5. If you live close by, consider checking it out!!! More details on tickets are here (apparently I never stop working!). 5.) 99 Problems But A Pitch Ain’t One – This is one of my favorite tumblr sites, it’s completely devoted to Public Relations and the different posts crack me up. Mostly because a lot of them have happened to me on the job. Ahhh the joys of PR. But I agree with them: We made it to Friday, it’s time to celebrate! 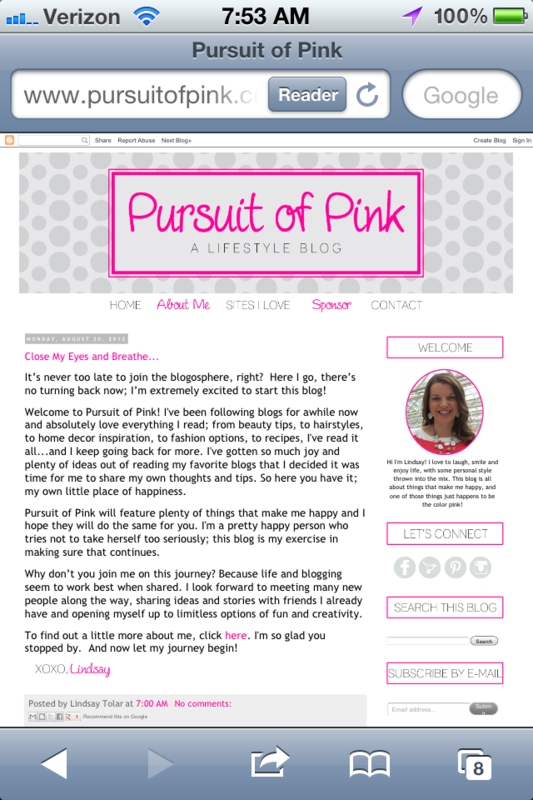 I love PURSUIT OF PINK...I think it's a great blogger title! Congrats on making it happen girlie! Found you through the H54F link up! Thanks Bev! I'm glad you found me! And thanks for your sentiments. Stopping by from the link-up! Congrats on the blog! I love the title and am really glad to see you pursing something you've always wanted to do! Love your blog! I need to look into this book! Do you know Christine Caine? She's awesome. Such a powerful speaker with amazing faith! Love your blog & I definitely need to look into that book! I haven't seen that tumblr site yet, but I imagine I'm going to be giggling. hi! love meeting new bloggers! love your name! Happy Saturday! have a great weekend! Drop by nichollvincent.blogspot.com and say hello! My Guests Have A Room!